Teresa matriculated at D.F. Malan High School in Bellville, attended the University of Stellenbosch where she obtained her B.Comm LLB Degree in 1999. She completed her articles at a Cape Town based law firm before she was admitted as an Attorney, Notary and Conveyancer in 2002. During this time she also completed her AIPSA Diploma in Insolvency Law. 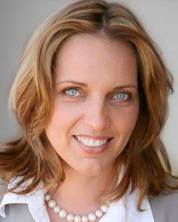 Teresa joined the Tygerberg office during 2005 and specialises in conveyancing and all matters related thereto.